The marketer’s ultimate goal is to get the right messaging in front of the right people at the right time to connect with each target audience in a meaningful way. Mapping your buyer’s journey is an important step in understanding what sort of information a prospect needs from you as they make their decision to partner with your organization. In conjunction with personas, the buyer’s journey is a valuable marketing and sales tool for determining what content to create in which format for each channel, and when to present it so each prospect feels like their needs are met and the messaging is meaningful to them. By creating and disseminating content that helps prospects, rather than simply sells to them, the buyer’s journey helps you assess the best ways to present your brand as a trusted resource for achieving their goals. As the B2B sale becomes an increasingly consultative process, involving not just one decision-maker, but a decision team, B2B buyers’ journeys become increasingly important resources for Marketing and Sales alignment and account-based marketing (ABM) efforts. Where to start? The unfortunate answer is that there is no one-size-fits-all buyer’s journey. Each buyer’s journey is unique and should be created to align with your prospect’s needs and your organization’s specific personas for each product or solution you offer. The good news is the process for developing B2B customer journeys tends to follow the same steps. Step 1: Identify your best customers. Step 2: Understand your customer’s organizational decision-making process. Set up 30- to 45-minute interviews with the primary contact at your recent customer accounts. Prepare your interview questions in advance to be considerate of their time. Also ask what sources of information they sought out and trusted, the referrals they requested, and the work required to educate their internal stakeholders. Step 3: Understand each player’s needs and goals. Understanding the needs of your primary contact is a vital first step, but when it comes to a complex B2B sale, it’s important to understand the needs and role of at least one other member of the primary contact’s decision-making team. This will help you best address the needs of the full account. Conduct one follow-up interview with that decision-maker. In their decision process, your contacts likely consulted up to five additional people as they went about justifying an investment in your solution over a competitor. Fight the urge to create personas and buyers’ journeys for all of these additional people and instead focus on one additional role. The goal of these interviews is to develop a clear sense, based on each person’s role in the decision-making process, of which internal stakeholders are called into the process and when. Also, find out what information is most important and meaningful to them. With this knowledge, you can address—or better yet, anticipate—their needs in similar organizations where your solution would be a good fit. Step 4: Map each journey into phases. This is the step where you begin to spot patterns. After you’ve conducted all of your interviews, it’s time to compile the information and synthesize it into a meaningful tool for your marketing and sales teams: the buyer’s journey by persona/decision role. Buyers’ journeys are often broken down into phases of the purchase decision process. The traditional phases are Awareness, Consideration, and Decision. However, these three buckets often have more nuance, and not all decision-makers are present in all phases. Depending on your business model, the phases and persons involved might shift a bit. For example, if upsells to current customers are a large part of your business, then you might want to consider a Customer Lifecycle Journey, which places more emphasis on what it means to be a customer who decides whether to renew or invest more with your organization, rather than simply a one-time buyer’s journey. When Bonfire makes buyers’ journeys for clients, we tailor them specifically to the needs of the client’s business. They all tend to include a version of these six phases, though. Problem identification: The prospect recognizes they have a problem and tries to name the specific issue the organization is facing. Solution exploration: The prospect researches a wide range of solutions for solving their problem. Solution evaluation: The prospect narrows down the long list of possible solutions to a few options and begins to evaluate the pros/cons/fit of a short list of solutions. Internal consensus: The prospect consults with their internal decision team about the various solutions they have evaluated and often presents a preferred path. Decision justification: The internal decision team determines which solution is the one they want to partner with considering their problem, the range of solutions, and the solution fit to their organization for their preferred path forward. Solution success: The prospect (now customer) evaluates if your company is delivering on the solution you sold them and if it’s continuing to fit their needs. What are the decision-maker’s needs at this point in the buying process? What key questions do they have that need to be addressed for them to move forward? What content and resources can we offer them to address these needs? How do they learn best? What information sources do they trust? What messaging will resonate with their needs at this moment? Where are they most likely to encounter this messaging and have it be meaningful to them? This helps us determine, by role and by decision stage, which content offers and delivery methods will be most helpful in aiding the prospect’s decision-making, be it an ROI calculator or an industry-focused whitepaper. Step 5: Do a content audit. By now you’ve likely noticed that some content formats are appropriate for more than one stage of the buyer’s journey, while others are not. Or that different decision-makers find different sources of information trustworthy or place different emphasis on different qualities. For example, the role most likely to interact with your solution day-to-day might care more about UX or ease of use, while the final decision-maker might care most about expected ROI. This is vital information for your Sales and Marketing teams to be aware of, but putting it into action requires content—thoughtful, relevant content. Don’t reinvent the wheel. You likely already have some content you can use or rework to fit your various buyers’ journeys. Pull together all the content you have and do a content audit. Map each piece to one of your decision stages and to your various decision roles. This is ideally done in a grid format or spreadsheet. Which content you already have that’s ready for use. Which content you have that needs to be reworked a bit to make it relevant to more than one role. And what totally new content needs to be created to fill in any gaps that exist. 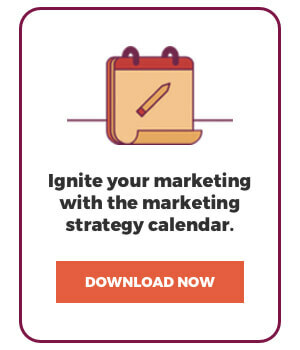 Step 6: Create meaningful content plans. Your buyers’ journeys are a resource for guiding both Marketing and Sales interactions with prospects. Buyers’ journeys inform which offers and messaging need to go to each member of the decision-making business unit at each time. In this way, they are a vital resource for educating and nurturing prospects so they can have more meaningful sales conversations. Content drives this process, but creating such strategic content is hard work, so you want to do it thoughtfully and sparingly. With your new B2B buyers’ journeys and content audit, you now have a clear plan for what new content you need to be effective with your audience and what messaging will likely resonate the most with them in those moments. Try creating new content and repurposing as much as possible to fit as many decision-makers as you can. Tweak the messaging to speak to their needs and role-specific goals. Then, once you have your content in order, develop campaigns, sales plays, and automated paths to drive demand. It’s important to remember that customers don’t just decide on a whim to buy a product from you; they have to be met where they are with meaningful moments that speak to their needs and address their hesitations. This is true with B2C decisions and infinitely more complex with B2B decisions since more people are involved with a wider array of learning styles and business needs to satisfy. With your buyers’ journeys by decision role mapped out, you can now most confidently work new target accounts in a more meaningful way. You’ll be able to address, and ideally anticipate, your prospect’s needs and ease them into a strong relationship with your organization. It should go without saying, that’s excellent news for you if your decision-makers rely heavily on referrals from your happy customers! 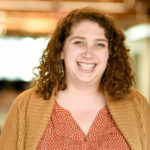 Jamie Feigenbaum is an account strategist living in Portland, Oregon. A New Yorker a heart, she is a fast-talking bagel expert who loves solving complex puzzles. When she's not thinking about her client's marketing operations and strategy, she enjoys reading, baking, and performing comedy.